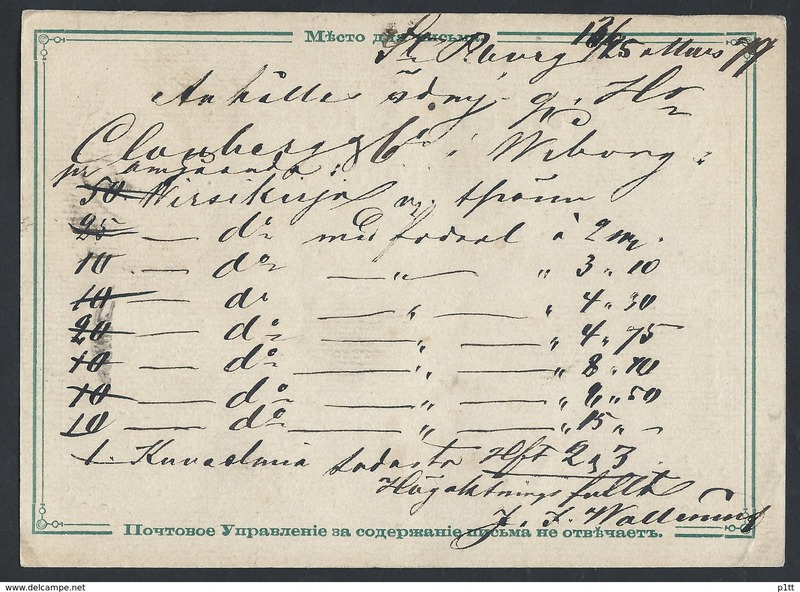 Lettres & Documents - 795d.Postcard. Post 1879 St. Petersburg Helsinki. TPO №1. Railway post. Russian Finland. Stamps of the city of St. Petersburg. 788d.Postcard. Russian Finland. 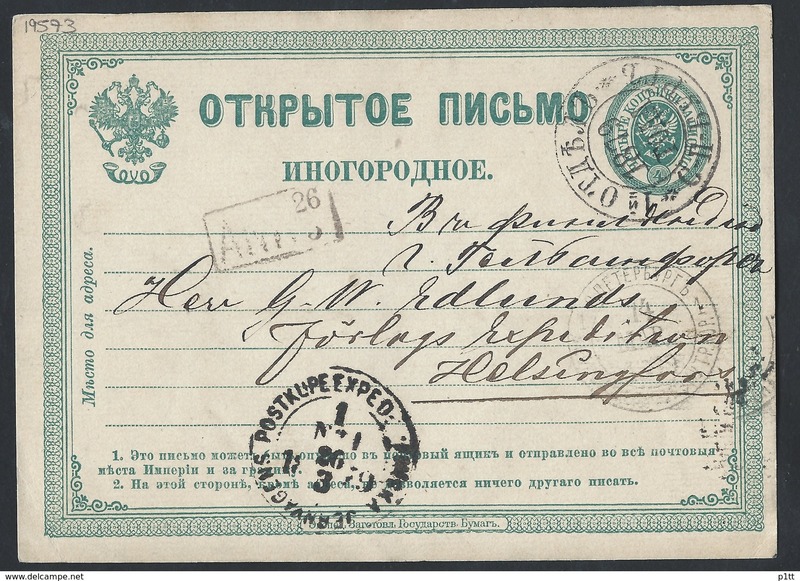 Mail 1897 TPO № 4 Helsingfors. Railway post. 708d.Local postcard. Post 1876 year. Post vagon № 5 (Helsinki - Turku - Helsinki) Helsingfors. Finland. Russian empire. 778d.Postcard. Mail 1896 Abo (Turku) Helsinki. TPO №4. Russian Finland. Railway post. 698d.Postcard. Passed mail 1911 Moscow Tavastgus (Hämeenlinna). Russian empire. Finland. 777d.Postcard. Mail 1884 railway station Kuurila Abo. Russian Finland. TPO. Railway post.